Our employees are the company’s driving force, so part of our mission is to provide them with the best experience on and off the road. Andrus Transportation is an established, profitable, and growing regional transportation employer in business today due to the sacrifice, vision, and entrepreneurial spirit of twin brothers Jim and Bill Andrus. We seek to continue that legacy by providing a great quality of life through meeting or exceeding the needs of local and national companies, vendors, and employees with integrity, personal attention, and proactive communication. We believe excellent service comes through cultivating a team where each person has the opportunity to develop their highest personal potential. Andrus Transportation is committed to the highest level of safety for its people, the public, and our responsibility to the environment in the communities and with the customers we serve. In 1970, Jim Andrus and his wife, Mary, established a trucking business in Mesquite, Nevada. Jim bought an old truck containing a crushed-in cab with an engine that worked. 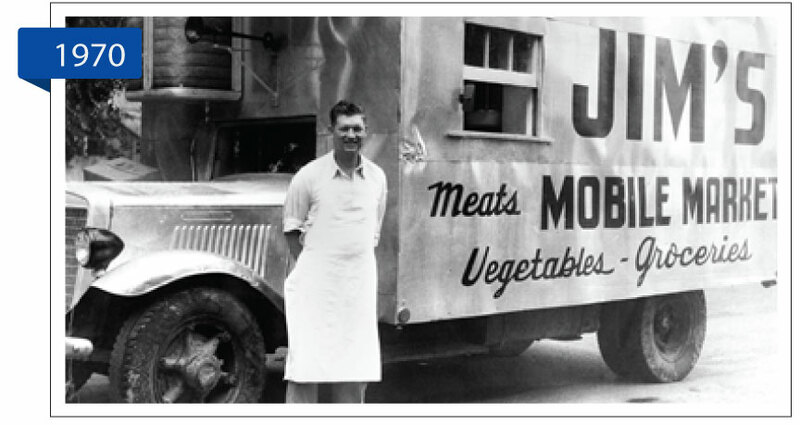 As the business grew, Jim added a few more trucks and began hauling hay cubes to California in addition to a separate fertilizer business. Jim then built an office under the carport of his house and launched a crew of dispatchers, customer service representatives and accounting personnel. The business quickly grew to about 17 employees. Eventually the office became so overcrowded that Andrus Transportation moved to a larger yard for the trucks to park. A trailer was brought onto the property to house the office staff and a shop was built to repair the growing fleet of Andrus trucks on site. In 1986, Jim’s brother, Bill Andrus, who had been driving truck for many years, became a business partner. In 1988 Andrus Transportation moved the corporate office from Mesquite to St. George, Utah and a repair shop was established a few miles away. Although the business began by providing local produce service, Andrus Transportation Services now delivers western regional van freight, regional deliveries in and out of the Dallas Fort Worth area, and flatbed. Headquartered in St. George, UT, Andrus has additional terminals located in Fontana CA, Dallas TX, and Salt Lake City, UT with drop yards in Phoenix, Las Vegas, Denver, Northern CA, Reno, Portland, and Seattle. While licensed in all 48 states, Andrus Transportation Services primarily operates in the 11-western states. The company keeps pace with the latest technological industry advancements including Qualcomm communication and tracking devices in every tractor and GPS tracking devices on its trailers with 24/7 operations personnel. In October 2010, James R. Andrus, Jim and Mary’s son, was promoted to President of Andrus Transportation. Jim was raised with the business and has held many key positions of responsibility over the years. These positions and responsibilities prepared him exceptionally well for his role as President. Tav Andrus (one of Bill and Cloella’s sons) was promoted to Vice President of Maintenance at the same time. Tav also came up through the business and worked closely with his dad, Bill, in overseeing Andrus maintenance. Tav is now responsible for all Andrus maintenance shops and personnel. In keeping with the family legacy established by Jim & Bill, Andrus Transportation continues to be actively involved in the industry and the community. Jimmy served as President of SUTA (Southern Utah Trucking Association) and is currently one of the officers of UTA (Utah Trucking Association). Jim and Mary are enjoying their well-earned retirement and are currently serving their 2nd mission for the LDS church. In April, 2011, Bill Andrus passed away after a lingering illness. Bill was known and loved by many in the St. George, UT and Mesquite, NV areas. Bill was a pillar in the St. George community as well as the trucking community and is greatly missed.